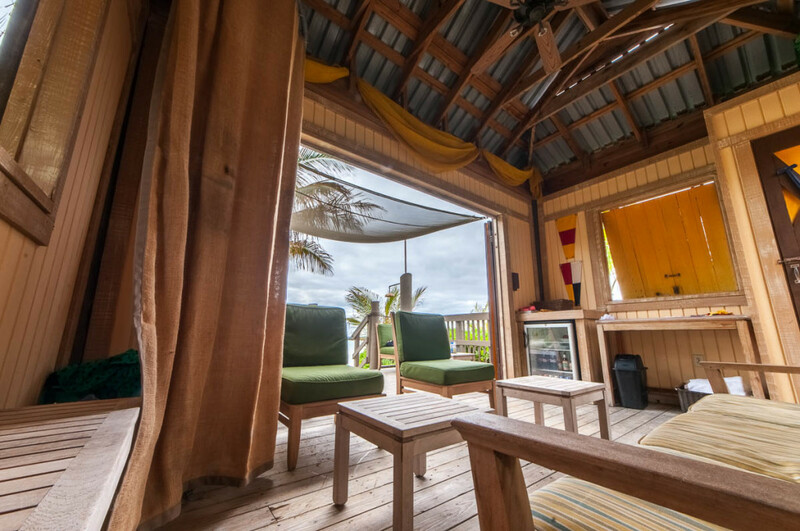 Pricing for the Grand Family Cabana and the cabanas located at Serenity Bay remain unchanged. It has been 2 years since DCL last increased cabana pricing they introduced the seasonal pricing model for the Family Beach Cabanas at Castaway Cay in April 2016. However, this time around it is a little different due to a recent change in the tax rate. 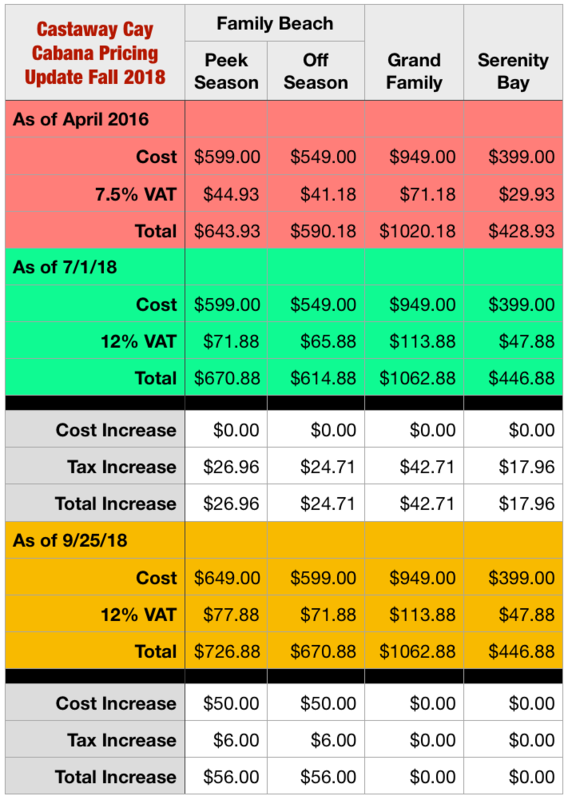 Earlier this summer the Bahamian VAT increased from 7.5% to 12% resulting in a $17-$42 increase to the cabana’s overall cost based on the cabana location and type. Special thanks to @Bluestravelgirl for alerting us to the price change which I was able to confirm with DCL. For more on the Family Beach Cabanas, please check out our review. This entry was posted in News and tagged Cabanas, Castaway Cay by Scott Sanders. Bookmark the permalink. Cabana prices are ridiculous. But there are enough people renting them obviously. Don’t get it why. It’s the magic of Disney! We were blessed to be able to secure a Cabana 2X and both times we were disappointed (the ocean in the area really shallow, bathrooms were a long walk, no food service, could only order drinks for that $$?) we personally did not feel like the price was justified…yet felt weird not booking it even knowing how we felt, both times we were like never again! Disney magic at it’s best, makes you want to spend no matter what, priceless….It’s almost like I was brainwashed to want it, LOL!! Note: we have been back now 5 more times with no cabana and it was a wonderful time, now we say why did we spend so much $$?